It’s a recurring theme in our history. Noah waited for God to send rain; he waited for God to stop it. Abraham and Sarah waited for a child. David waited for deliverance from a mad king. The Israelites waited for deliverance from slavery. They waited for God to fight for them. And they waited for Him to avenge them. Joshua and Caleb waited for the Lord to give them the promise land. Moses waited for the heavenly promise. The Jews waited for their Messiah. Jesus’ disciples wait for him to come back again. We wait because we hope. Without hope, we wouldn’t wait at all. We do not despair. We don’t give up. We don’t lose heart. We wait in eager anticipation. 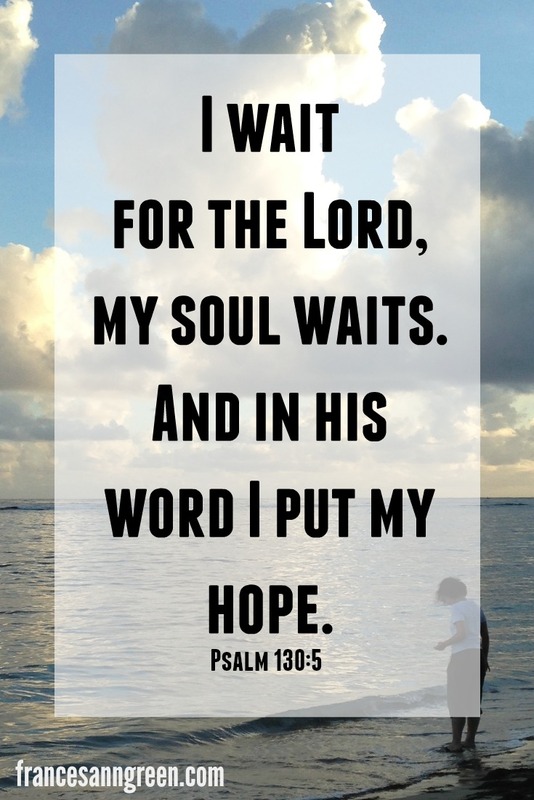 Since Easter week focuses our attention on the hope we have when we wait for the Lord, I want to share the following verses with you today. They’re all about waiting for the Lord. They encourage my soul. I hope they’ll encourage you too. 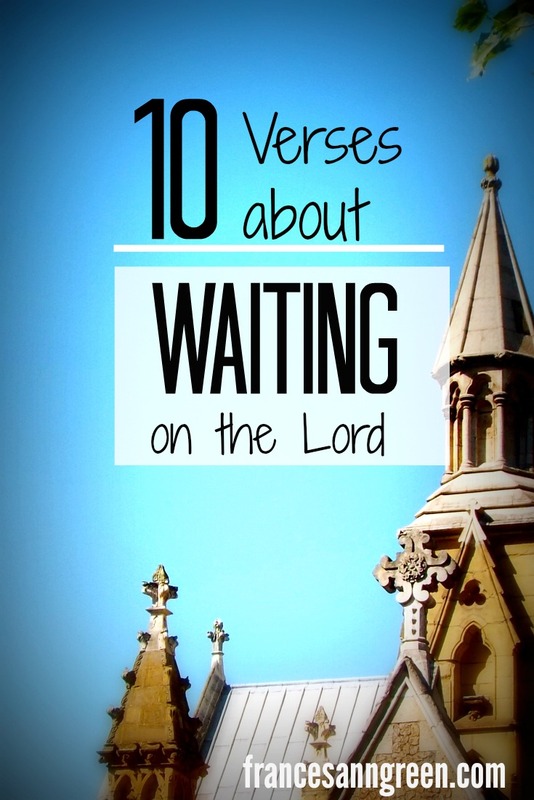 Do you have another favorite verse that you would add to this list about waiting for the Lord? Share it in the comments; we’d love to hear from you.